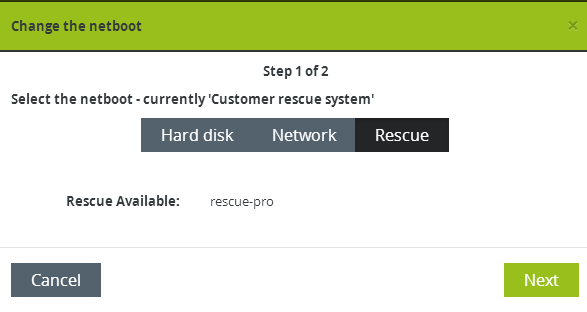 I don't receive a password when putting the server in rescue mode. I have checked and your server was booted into Rescue Mode and email sent, perhaps reboot it again to get a new email generated. Being in the same kind of sutiation previously. Booting to "rescue mode" didn't sended any letter. But when SyS engineer rebooted it some time later, it came just in time. So there isn't any way to receive it by yourself currently? Then hard rebooted the server, but I don't have the password for the root user, and haven't received any emails after 24 hours. I have checked my spam folder. Are you supposed to get a password? How can I get one?